Are There Dangers of Returning to Work Too Soon After Being Injured at Work? After being injured at work and subsequently being out of work to recover from your injuries, you may feel pressured to return to your position despite not being physically equipped to do so. Your bills may be mounting, your family is likely externalizing stress to you, and your employer may even be calling repeatedly to see when you are coming back to work. Even though the pressure can be stressful, you should not allow yourself to be pressured into returning to work before you are fully healed. While you are probably used to complying with your employer’s directives, the unfortunate reality is that in the case of your work-related injuries, your employer’s interests are likely at odds with your interests as his or her injured employee. You have an interest in getting better and ensuring that you recover as much as possible. In contrast, regardless of how long you have worked for your employer or how close you are, your employer has an interest in maximizing the profit of the company. 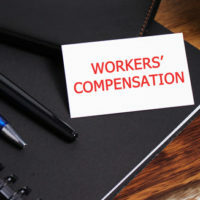 Therefore, the longer that you are out of work, the more likely it is that your employer’s premium may increase and the longer your employer has to pay costly workers’ compensation benefits, expenses which are problematic for any business. It is therefore up to you to ensure that you do not go back to work too soon. Can I Be Fired For Not Returning to Work Quickly Enough? An injured worker is protected from job loss for 12 weeks under the Family and Medical Leave Act (FMLA). However, employers are not legally required to hold an injured worker’s job. There is a good chance, however, that your employer will hold your position open as long as you keep communication open regarding your recovery and how soon you expect to return to work. But What About My Independent Medical Examination? Won’t That Help Me? While you are entitled to workers’ compensation medical care, keep in mind, your doctor does not work for you; instead, your doctor, who is being paid by the workers’ compensation insurance company frequently works on behalf of the workers’ compensation insurance company, meaning that his or her recommendation may reflect the company’s best interests over yours. Your doctor may therefore clear you to return to work too soon so that the company does not have to continue paying for your benefits. This is the last thing you need as being cleared too early can cause many problems, including re-injury, or never fully recovering from the initial injury. Florida’s Workers’ Compensation law §440.13(5) provides the terms under which an injured worker is entitled to and how you should exercise your right to have an IME to examine them and provide their more independent medical opinion of your condition, need for treatment, physical restrictions and ability to return to work. What if My Doctor Clears Me to Return to Work? Do I Have to Go? Generally, yes. An injured worker who is medically cleared to return to work is required to do so, unless a successful appeal has been filed. If an injured worker refuses to return to work after they are given restrictions by their treating physician and their employer is able to accommodate those restrictions the employer will often terminate their employment under an “abandonment of employment” theory and will also deny paying them stating that the injured worker is “voluntarily limiting their income.” This another example of why it is important to retain an experienced workers’ compensation attorney early on so that you have someone to advocate for you and your interests. Are You Struggling to Figure Out Whether You Should Return to Work Even if Your Injuries Are Not Fully Healed? Allow Us to Help. Trying to negotiate the date of your return to work after being injured can be very difficult. With the care of experienced attorneys, you can focus on ensuring that you have fully recovered while we focus on ensuring that you are not required to return to work prior to your injuries healing fully. The Miami workers’ compensation attorneys at Payer & Associates have significant experience helping people like you. Begin by contacting us today to schedule a free consultation.